It’s often said that kids, especially when they are little, are great teachers of the lesson of patience. There’s nothing that you can do to hurry them along. You just have to bow to their wishes. When they’re ready, they’ll be ready – be it the time to come out of their mother’s womb or be it when they’re ready to pose for a photograph. I’m not sure why, but December’s always been a month of reminiscing for me. It’s the time to sort of look back on the year gone by, chuckle about those wonderful moments and pride yourself on getting past those not-so-wonderful moments. Plus it was almost time for my bi-weekly Parentous post, and I was trying to dig up ideas. That’s when something caught my eye. It lay there silently abandoned in the corner of my desk, gathering dust. I picked it up, looked at it and then smiled. I’d found my next topic. If you’re a parent, then the following is kind of a known fact to you. Baby pictures are an absolute treasure and it’s often said that new parents have been known to take more pictures of their kid(s) than NASA takes of the moon. Yes, it’s true. We love to capture those moments, don’t we? But here’s the fun fact – taking pictures of a baby can be a daunting task. If you haven’t noticed it already, they are extremely unpredictable, do not follow any instructions, have an extremely limited attention span, and worst of all, cannot be bribed. Now taking the occasional pictures are actually not that complicated. If there’s something that kids know, it is to appear naturally cute in photographs. And no matter, how unflattering the angle, they are always cute. Of course some parents do go the extra mile, and try some Anne Geddes inspired shots while they’re sleeping or half awake. But the real fun (or not) of photographing a baby is when you take them to get a passport size photo done. If only we could just crop one of those cute photos and change the background. Well, to be honest, with a little bit of photo editing, it can be done. But where’s the fun in that? No, we need to take them to the studio to get the ideal picture. e. With a neutral expression with both eyes open. Now when it comes to babies, the rest of the points you can manage. But for the love of everything, it is almost impossible to get them to pose with a neutral expression. It all starts the minute you place them on that stool. Little Ri was about 4 months old when we had to get his passport and visa photos taken. And since we were in good old England at the time, needless to say, the rules had to be followed to a T.
Originally, the idea was to just let him lie down on plain white sheet, which meant that his head would be supported and it would provide a nice plain background for the photo. But of course, at 4 months plus, the young man wanted to flip every time you put him down. Which means, the moment we placed him down, and walked out of the frame, he had flipped on to his tummy. So that plan didn’t really go well. That left us with our backup plan – to sit him up on the stool with his mother supporting him and me trying to distract him and make him look at the camera with a neutral expression. That’s when we ran into our second dose of problems. No amount of coaxing would convince him to sit on the stool. The moment we descended him into the stool, his expression http://humanrightsfilmnetwork.org/ultram would change completely; he’d give us a look as if we were about to desert him completely and then go into one his wailing-modes. After about 40 minutes of trying, we finally managed to get him to sit on the stool – but only with his mother holding on to his legs (to make sure he sat there) whilst laying flat on the floor (so that she was out of the picture). That was one point sorted. The next thing was to make him look at the camera. So I took the logical solution and decided to stand behind the photographer. That’s when the next set of issues cropped up. Every time I went behind the photographer, the little man decided that he wanted to try and look where I went. Which meant that he was trying to move his head around constantly looking for me, which made it quite irksome for the photographer, who was now well into an hour to trying to capture a digital image of my off-spring. 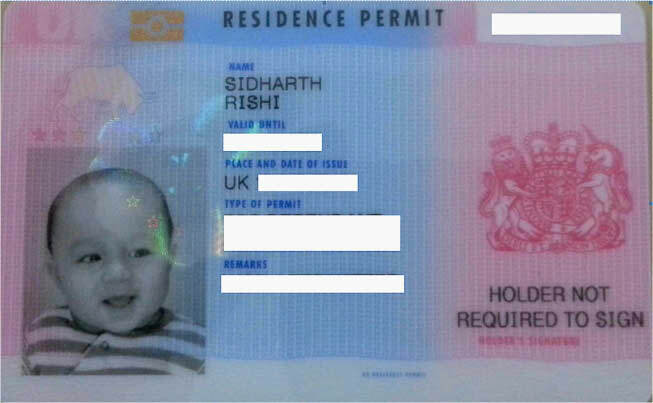 So now, it meant that we had to find a new position for me to stand/sit in, so that the Little Ri’s emotionless face could be captured as it was intended to be, by the Passport gods. After toying with a lot of different ideas, I decided that I would squat right below the photographer’s tripod. So there I was squatting in a rather awkward position, in an even more awkward place, with one of those state of the art DSLR cameras brushing the top of my head. For some very strange reason, (which in retrospect, I believe it was because I looked like a dork), Little Ri started giggling. And it wasn’t one of those light cute smiles. It was a whole-hearted, full bellied, almost bordering on outright laughter, kind of giggles, which had all the right ingredients to be contagious. And spread it did – within no time, we were all giggling, so much so, that we actually forgot about the photograph for a fair few minutes. It took the now-bordering-on-irritated photographer’s kind reminder that we were now heading into the 90-minute mark, to make us realize that we still had no photo. Armed with an armful of toys, we decided to give it a go again. By the time Little Ri had become comfortable with the toys, he refused to let go of the panda bear that had caught his fancy. It was almost like he’d given us an ultimatum – you either take a picture of the two of us, or no picture at all. Though we did get the photographer to click a photo of Little Ri and the stuffed panda, we knew that we had to put this photography business into top gear. But the problem was, we had no clue how. And by the looks of it, neither did the photographer. As I said before, even when they’re not posing, babies somehow give the cutest of poses. Let us know how your experience of taking your baby to the studio was.